Dr. Noel Ignatiev, a fellow at Harvard's W.E.B. Du Bois Institute, is a baaad, bad boy. In the September-October issue of Harvard Magazine, Ignatiev (who launched a journal called Race Traitor) writes, "The goal of abolishing the white race is, on its face, so desirable that some may find it hard to believe that it could incur any opposition other than from committed white supremacists." Dr. Iggy also unveils the hellfire-and-brimstone agenda of his journal - "Make no mistake about it: we intend to keep bashing the dead white males, and the live ones, and the females too, until the social construct known as 'the white race' is destroyed - not 'deconstructed,' but destroyed." So, why can Noel Ignatiev and Jesse Jackson can get away with trash talking white folks and denigrating the Founding Fathers? One answer: The majority of American campuses, save for a few sane places like Grove City College, are crawling with cultural Marxists who think like simpletons. In this ring, we have a group of oppressors - the white, heterosexual, capitalistic males (boo!). And in the other we have the victims - special interest groups who dig socialism (yeah!). For all their blather about academic freedom, the groucho Marxists demand that the bad guys and their culture be knocked out. Unfortunately, the sane voices in this class-and-race bacchanal are few, due to the lack of ideological diversity among those who teach. 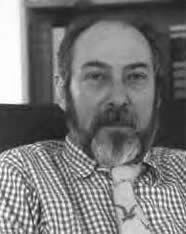 When former leftist David Horowitz spoke at Amherst College this past March, he complained that the school had only one conservative faculty member. One. The Luntz Research Companies survey of 151 professors from the social sciences and the humanities at Ivy League universities found that only 3 per cent of the academics polled identified themselves as Republicans. In the September issue of Chronicles magazine, Roger McGrath, who taught at UCLA, discussed his encounters with graduate teaching assistants who were members of the Revolutionary Communist Party. McGrath explained how the Commie T.A. 's recruited like-minded activists to "monitor" his historically-accurate lectures. "This was especially fun - just the time to discuss ... the thousands of Irish immigrants who died doing jobs considered too dangerous for slaves," he recounts. As fun as a date with Tony Soprano. Trying to rescue higher ed from the clutches of the Volvo-driving, Ben-and-Jerry eating autocrats will be a never-ending battle for conscientious campus crusaders. Parents, however, can do their part. If your college-aged son or daughter comes home with a burn-the-flag gleam in his eye or starts mumbling about institutionalized racism in America, beware. Your brainwashed child needs to attend an event where grateful immigrants, not Comrade Ignatievs, abound. May I suggest a Free Tibet rally? I know it's a trendy cause many associate with the Volvo-driving and the Cherry-Garcia eating, but I was pleasantly surprised by Tibet Awareness Day in Amherst. I spoke with several exiled Tibetans. Not one person described this country as "oppressive" or "anti-minority." Au contraire. They made statements like ' How wonderful that citizens here can freely practice their religions and speak their minds and impart their culture to their children.' Americans were praised as a "supportive" and "generous" people who offer refuge for refugees. Indeed, how many places on this planet (Save it, or Leave it!) 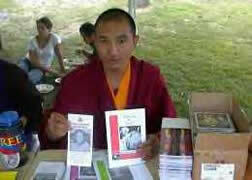 can a Buddhist monk hand out pamphlets about the little Panchen Lama while proclaiming that he wants "the Tibetan people to have freedom like the people in the United States have." First moral of story: Dad and Mom, teach your children well before they go to college, because a young mind is a terrible thing to waste. Second moral of story: Mom and Dad, encourage your son or daughter to learn a trade, because being stuck at college might be a terrible waste of a young mind's time. Izzy Lyman lives in a town that is crawling with earthy-crunchy Marxists. Feel her pain, or visit her blog at http://icky.blogspot.com.